Elizabeth McNie is an Assistant Professor at the California State University Maritime Academy. Her research focuses on the usability of science, research design, and boundary organizations that link research and policy. She has conducted this research with reference to agroforestry, water resources, natural resource management, adaptation to climate change, and shipping in the Arctic. 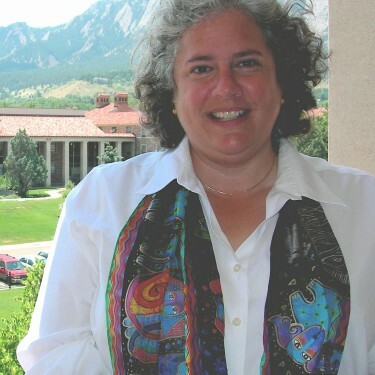 Prior to her current appointment, she was a research scientist at the University of Colorado and an assistant professor political science and earth and atmospheric sciences at Purdue University. McNie, E., A. Parris, and D. Sarewitz 2016. "Improving the public value of science: A typology to inform discussion, design and implementation of research." Research Policy, 45: 884-895. McNie, Elizabeth C., Parris, Adam and Sarewitz, Daniel. 2015. "A Typology for Assessing the Role of Users in Scientific Research: Discussion Paper." Working Paper. McNie, Elizabeth C. 2007. "Reconciling the Supply of Scientific Information With User Demands: An Analysis of the Problem and Review of the Literature." Environmental Science and Policy, 10: 17-38.